Due to technical maintenance, no user registration or product download of the TanDEM-X 90m DEM are possible on Tuesday, 7. May 2019 from 9:00 to 12:00. TanDEM-X (TerraSAR-X add-on for Digital Elevation Measurements) is an Earth observation radar mission that consists of a SAR interferometer built by two almost identical satellites flying in close formation. With a typical separation between the satellites of 120m to 500m a global Digital Elevation Model (DEM) has been generated. 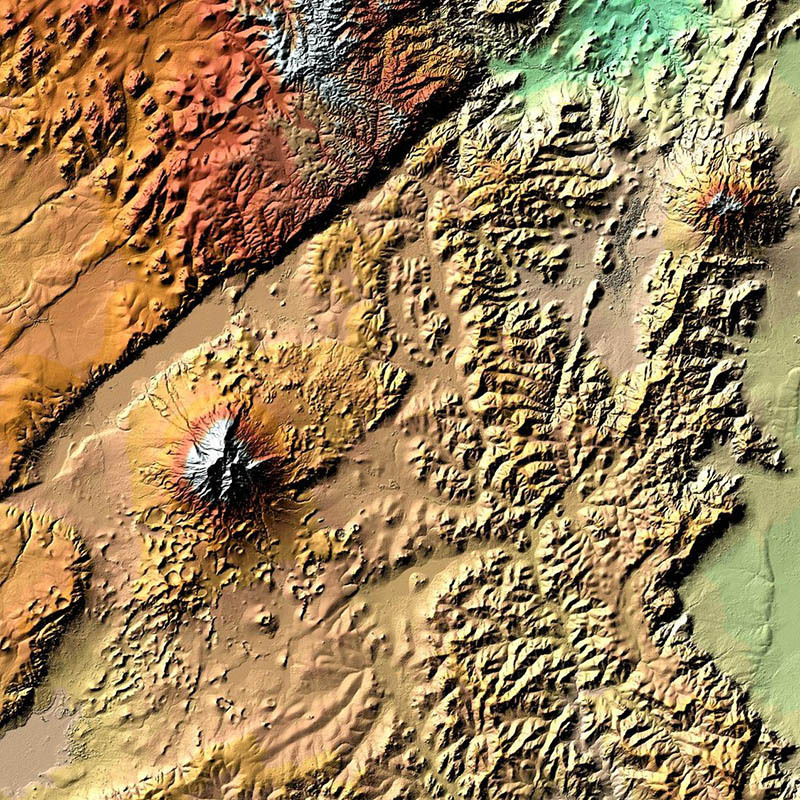 The main objective of the TanDEM-X mission is to create a precise 3D map of the Earth's land surfaces that is homogeneous in quality and unprecedented in accuracy. The data acquisition was completed in 2015 and production of the global DEM was completed in September 2016. The absolute height error is with about 1m an order of magnitude below the 10m requirement. The TanDEM-X 90m DEM is a product variant of the global Digital Elevation Model (DEM) acquired in the frame of the German TanDEM-X mission between 2010 and 2015, and has a reduced pixel spacing of 3 arcseconds (90m at the equator). It covers all Earth’s landmasses from pole to pole.